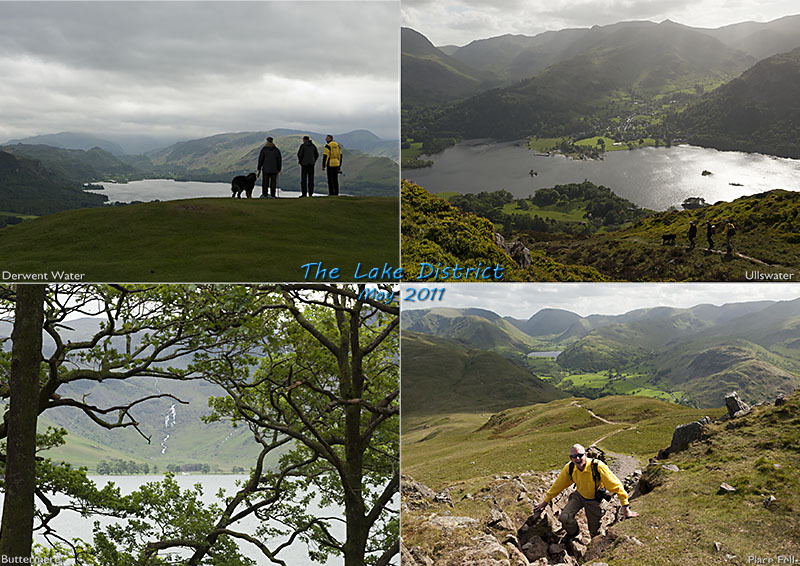 Last weekend in May in the Lake District with friends: it would be reasonable to assume fine weather but of course this is a public holiday weekend so it wasn't a surprise that we found the rain clouds looming when we hiked up Lattrigg to have a first view of Derwentwater, Borrowdale, Bassenthwaite and the Helvellyn range. Postcard from a brilliant day out hiking in the English Lake District; fantastic weather, far better than I could have dreamed of, especially for this early in the year. 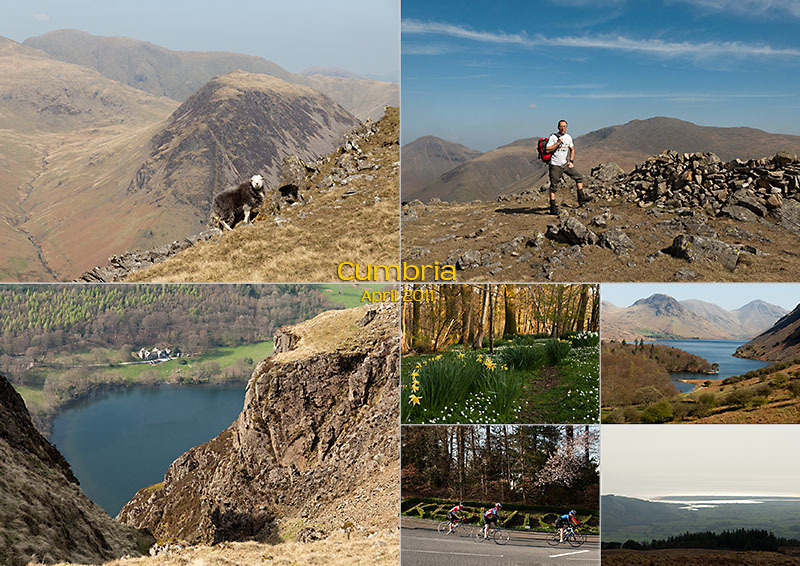 We hiked up from Easthwaite near Nether Wasdale along the ridge from Whin Rigg to Illgill Head above Wast Water in West Cumbria. My photos show Wasdale Hall Youth Hostel from the ridge above Wast Water, behind me is Scafell( 977m, the highest peak in England) and to the left, Great Gable (899m). The peaks in the small picture of Wast Water are (right to left) Great Gable, Kirk fell and Yewbarrow (627m, but it’s closer). Far away is the estuary of the river Esk which was a Roman port for transporting iron and copper ores, guarded by the Roman fort Glannovent. We've been hiking in the Grand Canyon of the Verdon (near Castellane) and a repeat visit to the valley of the Clarée near Briancon. And enjoying great food and wine. The big picture on my postcard is my birthday lunch today at the col du Lautaret. 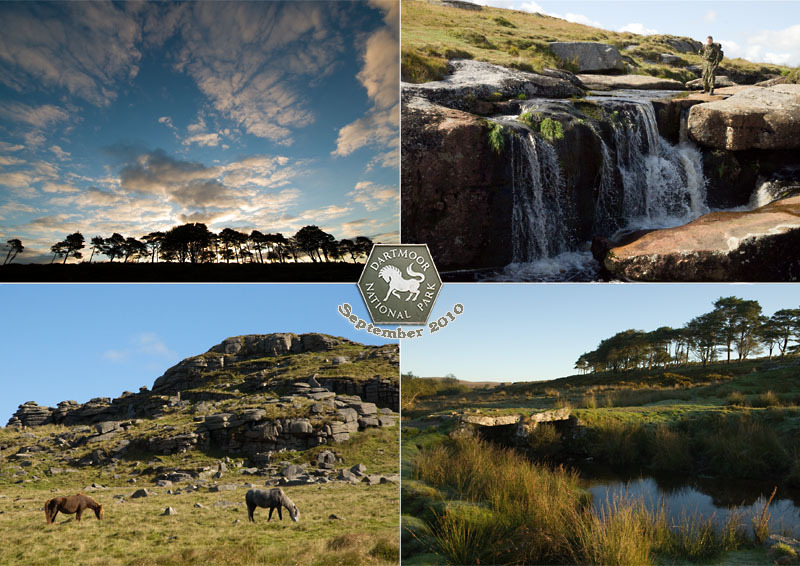 A glorious autumn weekend up on Dartmoor, staying in a bunkhouse near the East Dart River and enjoying the moor with a group of mates. We met up in the Warren House Inn on Friday evening and were out hiking all day Saturday. There was hardly anyone else out on the moor despite the fine weather, a sharp contrast to the traffc on the roads! I enjoyed a couple of fantastic sunrises and a couple of short night hikes under the harvest Full Moon. 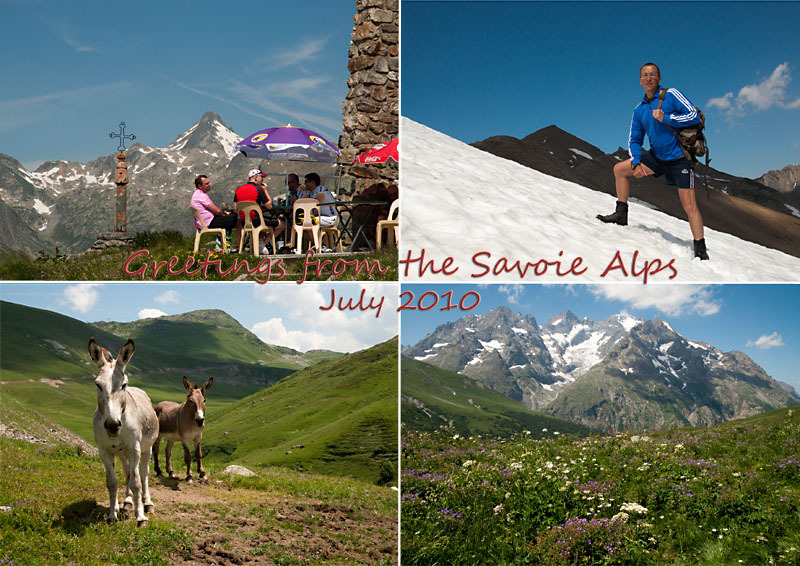 The skies cleared after the rain in Valloire and we've had some more great hiking, a bit hot in the afternoons but we've been able to get to the cool clear mountain air in the afternoons, using either cable cars or the road passes to gain height. Now back in hot Marseille. Hotter than predicted so best to enjoy the afternoons indoors - my air con works fine! End of holidays: we get the TGV back north tomorrow.